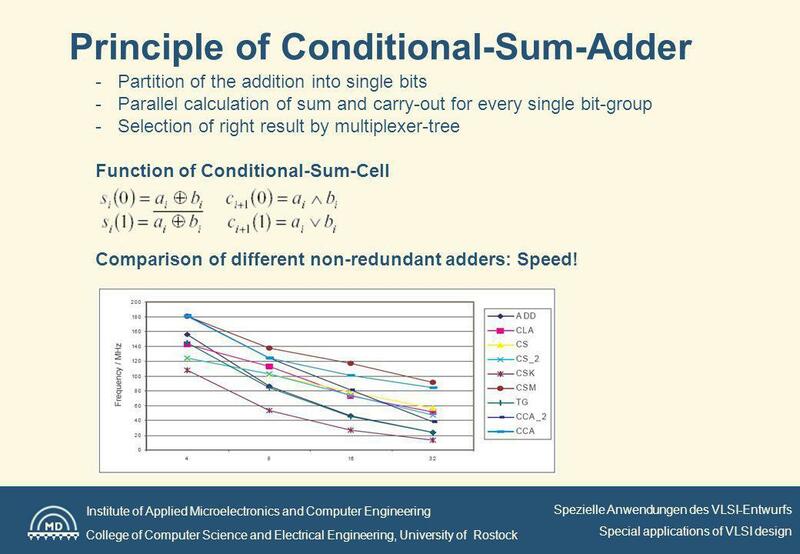 3 Institute of Applied Microelectronics and Computer Engineering College of Computer Science and Electrical Engineering, University of Rostock Spezielle Anwendungen des VLSI-Entwurfs Special applications of VLSI design Principle of Conditional-Sum-Adder - Partition of the addition into single bits - Parallel calculation of sum and carry-out for every single bit-group - Selection of right result by multiplexer-tree Function of Conditional-Sum-Cell Comparison of different non-redundant adders: Speed! 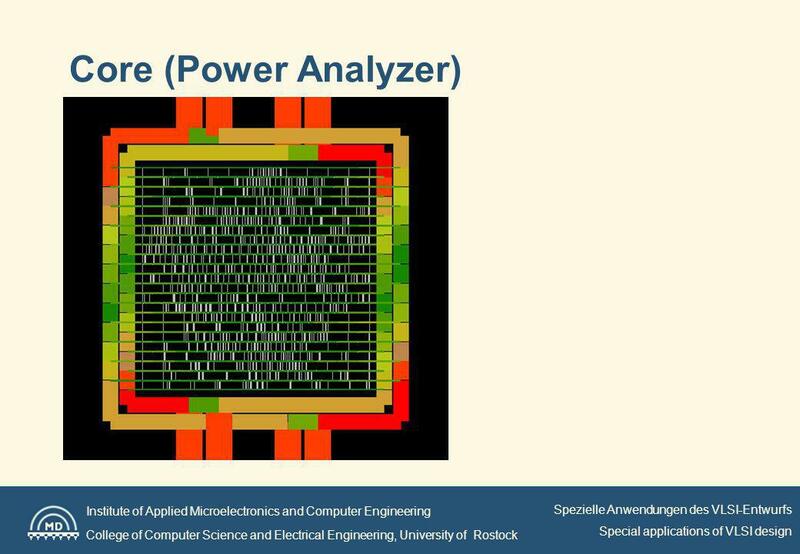 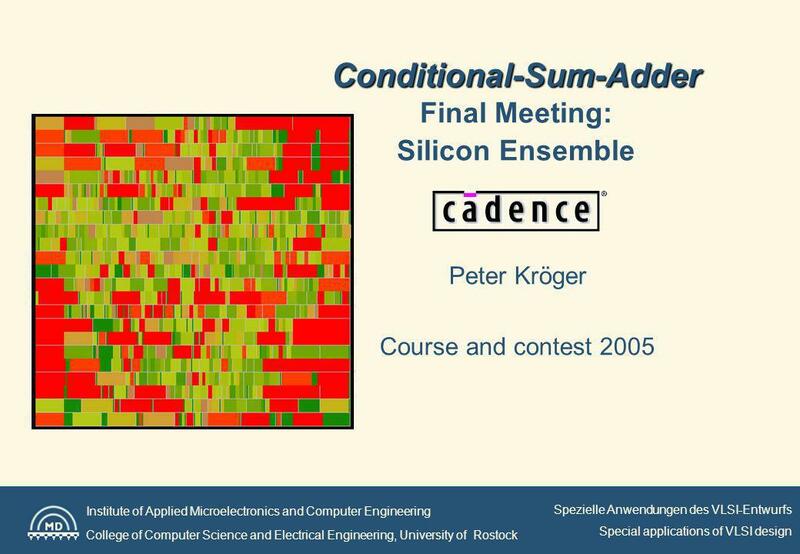 4 Institute of Applied Microelectronics and Computer Engineering College of Computer Science and Electrical Engineering, University of Rostock Spezielle Anwendungen des VLSI-Entwurfs Special applications of VLSI design Design Compiler - Compile Strategie Question: How can I get Design Compiler to work harder? 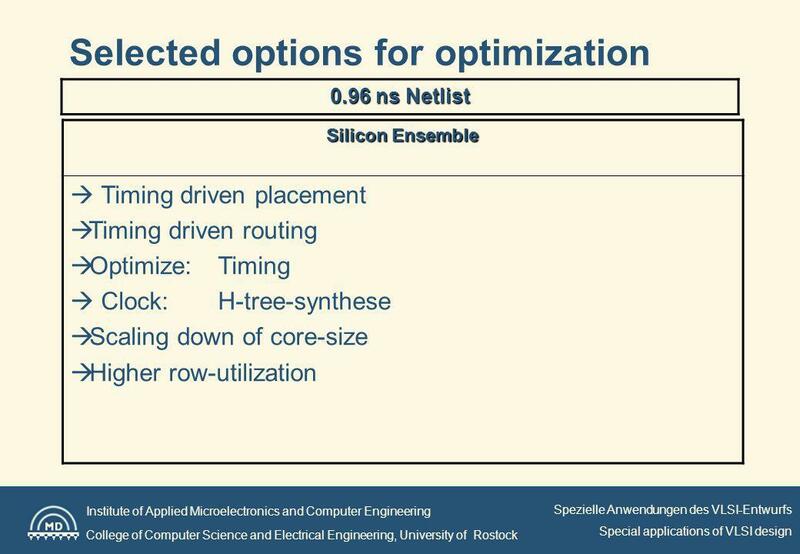 1) Strategy 1: Tighten Constraints => 10 percent can cause better results (i.e. 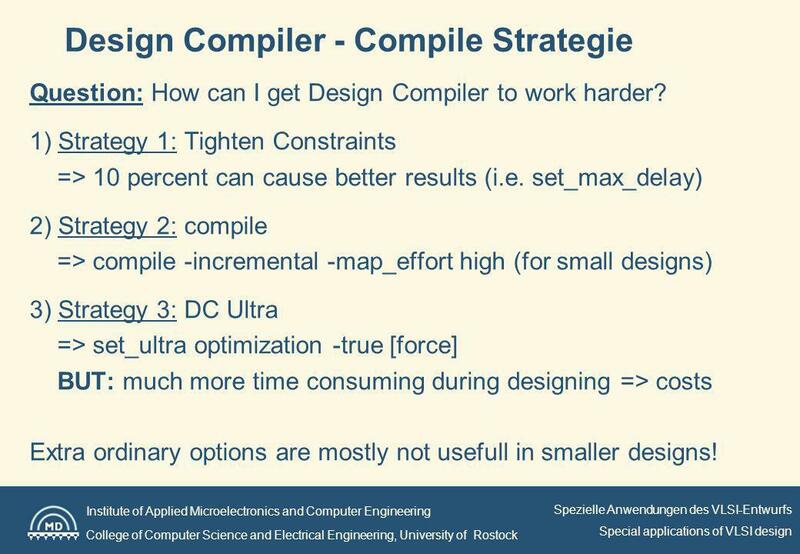 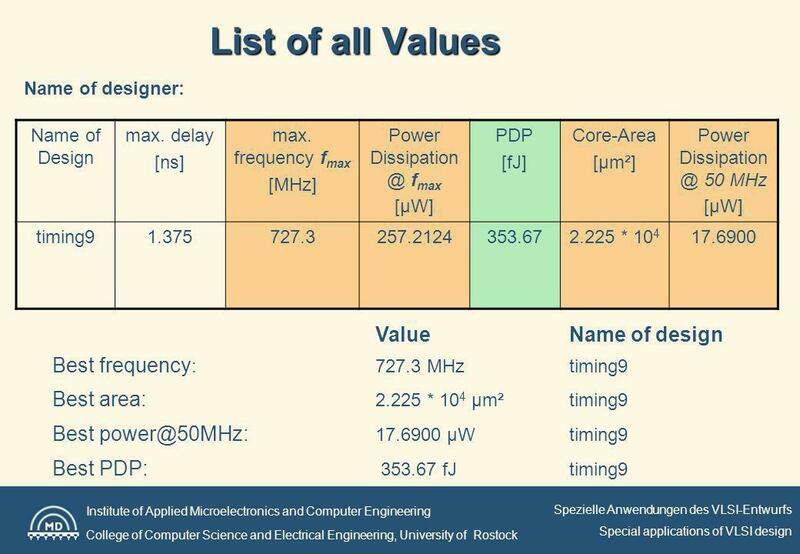 set_max_delay) 2) Strategy 2: compile => compile -incremental -map_effort high (for small designs) 3) Strategy 3: DC Ultra => set_ultra optimization -true [force] BUT: much more time consuming during designing => costs Extra ordinary options are mostly not usefull in smaller designs!